When looking for the perfect place to stay for your next Siesta Key vacation, there is no better place than the Inn on Siesta Key – where you will experience vintage Florida with all of its coastal charm! Nestled in the heart of Siesta Key, our quiet tropical oasis features six comfortable suites that are perfect for a relaxing getaway. 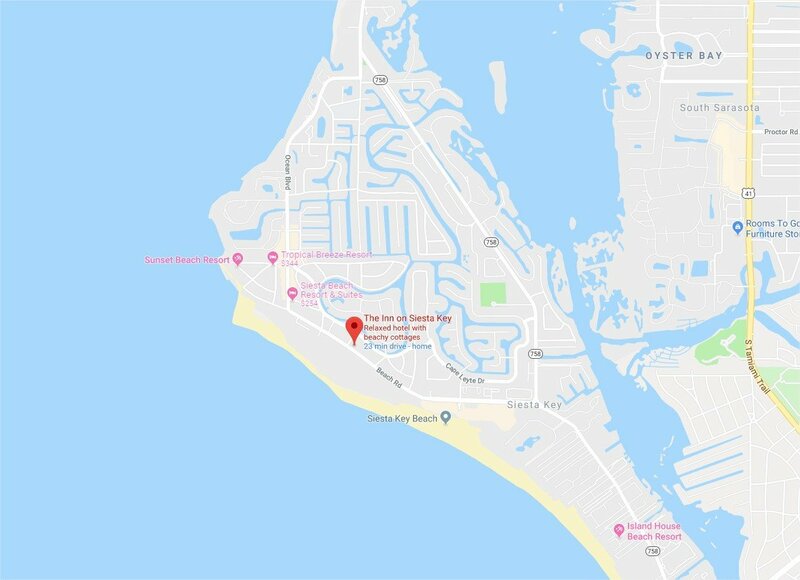 The Inn is within walking distance to shops and restaurants in Siesta Key Village and we are just steps away from America’s #1 ranked beach, located along the sparkling Gulf of Mexico. For a more secluded alternative, unwind by our heated pool. 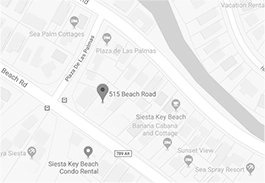 While there are plenty of choices for hotels and accommodations, there is only one place to stay in Siesta Key that captures the true essence of historic beach life. No other motel or resort captures the charm of old Florida cottages quite like the Inn on Siesta Key. Whether you’re looking for a fun-filled family vacation, a romantic weekend or a honeymoon retreat, we have the perfect accommodation to suit your needs. With a full range of amenities, you’ll have all the comforts of home without any of the hassles. The Inn on Siesta Key: Where every hour is happy. This is a ground floor, one bedroom one bath unit with king-sized Serta Memory Foam ICOMFORT Series bed in the master and full bath off of the bedroom, ensuite. Large walk-in tile shower with glass enclosure. This suite is ground level, just a few steps from the pool-side. This roomy unit with all tile floors on the diagonal, has a combined living and dining area, with an open-air balcony off the living room with a 6-foot sliding glass door.